Day 3 of the World Series of Poker International Circuit Main Event at the Casino de Marrakech began with 25 players, and it took a grueling 15 hours to crown a winner. 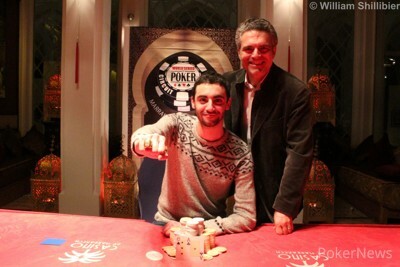 Not quite reaching the 5 a.m. mark of last year's event, but shortly before 4 a.m. Mathieu Selides finally outlasted Anthony Rodrigues to win the 975,000 dir (€95,479) first-place prize, the result of a prior heads-up deal that saw them split the prizepool and play for 50,000 dir (€4,657) and the championship ring. Selides came into the day third in chips but soon rocketed up the leaderboard, eliminating the first player of the day vs , and never looking back. 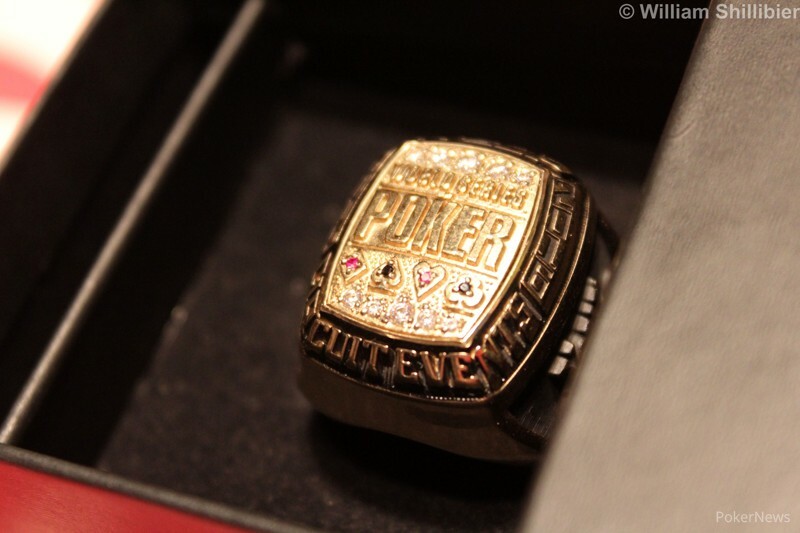 Coming into the final table as chip leader, the Frenchman was cheered on by a raucous crowd, and despite a topsy turvy heads-up battle with Rodrigues — with both players having chances to win the match — the pair agreed to a deal and to play for the ring. 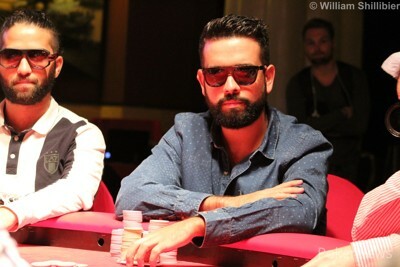 Selides was helped in no small part by the elimination of start-of-the-day chip leader Sonny Franco midway through level 25, where he was all-in and behind holding the against Franco's . The board ran out and the ace on the river vaulted Selides ever skywards. 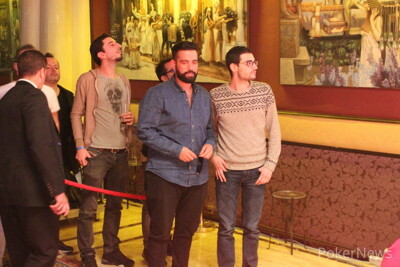 The final table started with Selides holding double the chips of his nearest competitor, and the eliminations of Jonathan Khalifa (€15,369), Samir Beldjoudi (€24,218) and Joao Pinto Correia (€55,888) ensured that his chip stack was always healthy heading into the heads-up battle. There were chances to win for both players, first Rodrigues' was cracked by the of Selides on a board, and then Selides' was beaten by Rodrigues, who held the on a board. Eventually, after nearly four hours of heads-up play — and two hours after the players agreed a deal — it was Selides who emerged triumphant. In an otherwise quiet period of the match, with Rodrigues desperately hunting spots to double up, he gets it in behind with vs his opponent's . Levels have been 75 minutes since the start of Level 26, however probably due to the fact that it is 3:30 a.m. here in Marrakech, the 32nd level of 60,000/120,000/20,000 has been reduced to just 30 minutes in length. It's practically a turbo! Now it was the turn of Selides to be all-in for the match. Rodrigues shoved and was looked up by Selides holding , which was way ahead of Rodrigues' . The gave Rodrigues outs, and the on the turn even more so, and when the was dealt on the river, the Belgian's rail burst into life celebrating his double up, and potentially offering Rodrigues a root back into this match. Chips flew and we are one step closer to finding a winner here in Marrakech. Rodrigues raised, Selides re-raised to 850,000. Rodrigues raised to 1,500,000 and Selides shoved. It was a decisive snap call from Rodrigues who was all-in for the win, and ahead holding against Selides' .